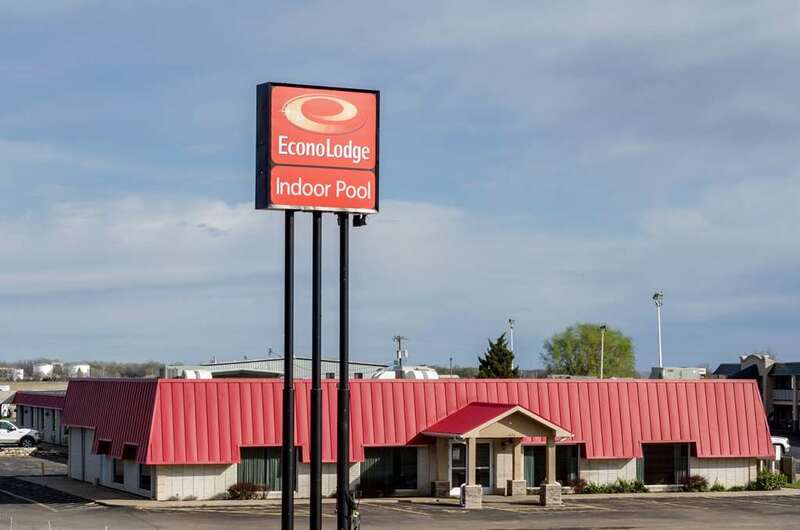 Our smoke-free Econo Lodge hotel is easy to book, easy on your wallet and easy to find off Interstate 135 in Salina, KS. Our hotel is just minutes from Kansas State University - Salina, Kenwood Cove and Kansas Weslyan. We offer every guest a free continental breakfast, free WiFi, and free coffee. Unwind in one of our inviting guest rooms, all of which feature a desk, hair dryer, microwave, refrigerator and a TV. Also, earn rewards including free nights and gift cards with our Choice Privileges Rewards program.